Precision regulated DC power supplies are ideal for commercial/land-mobile, ham and CB radios, test bench supplies, base stations, tape players and amplifiers. Designed for years of reliable service and superior performance, they efficiently convert 120 volts AC into 13.8 volts DC (+/-0.5V). 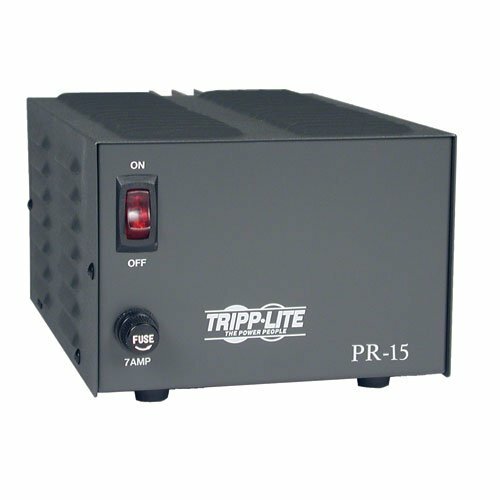 The Trim Line Series of DC power supplies offers a low-profile design with a footprint that matches the most popular radios on the market, such as Motorola, Radius, GE Monogram Series and EF Johnson models. Please refer Page 3 in User Manual (PDF) for basic trouble shooting steps. Reach our support team at 773-869-1234.